Votive relief in the form of a grotto, 350–300 BC. Marble. © Staatliche Museen zu Berlin, Antikensammlung, Inv. no. SK 711. Photographer Johannes Laurentius. 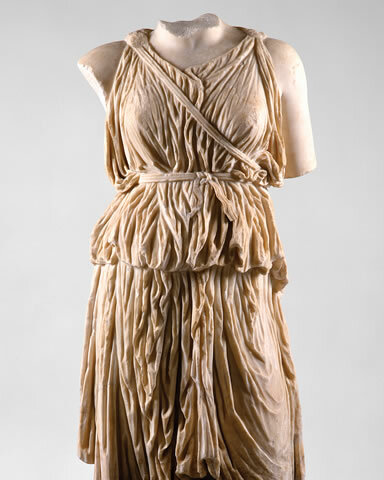 Transport yourself to ancient Greece and Rome with over 160 treasures from one of the most celebrated collections in the world. As one of only two stops in North America, Olympus is Manitoba's first major exhibition of classical antiquities in over half a century. On now until April 17. 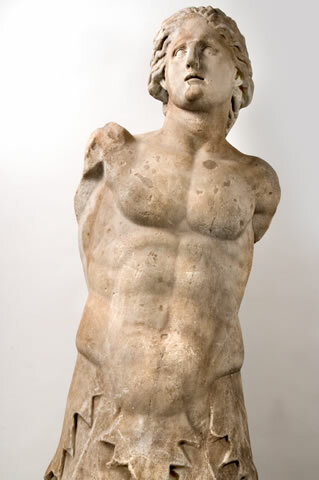 Statue of a triton, 350–325 BC. Marble. © Staatlichen Museen zu Berlin, Antikensammlung, Inv. no. SK 286. Photographer Johannes Laurentius. 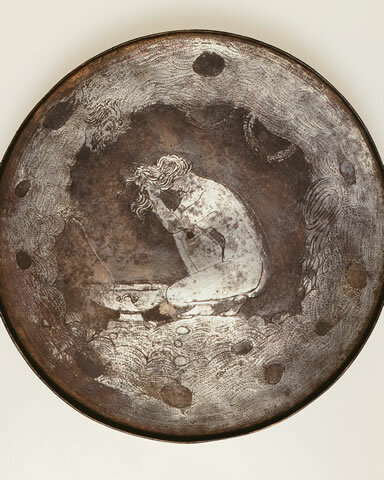 Folding mirror with Pan and nymph (detail), c. 280 BC. Bronze. © Staatlichen Museen zu Berlin, Antikensammlung, Inv. no. Misc. 8148. Photographer Johannes Laurentius. 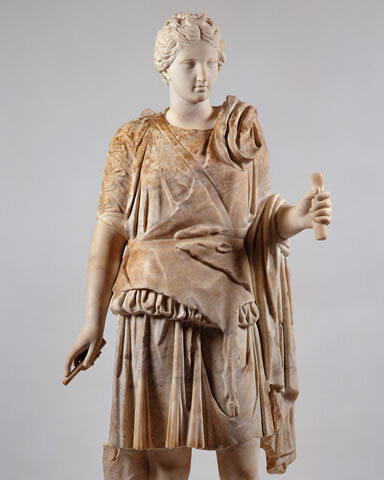 Statue of Artemis, c. 125–150 AD. Marble. © Staatlichen Museen zu Berlin, Antikensammlung, Inv. no. SK 62. Photographer Philipp Gross Koeln. 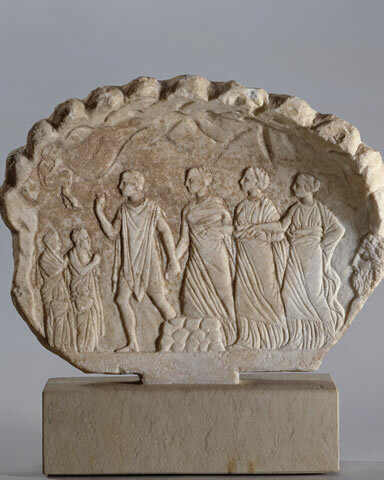 Votive relief in the form of a grotto, 350–300 BC. Marble. © Staatlichen Museen zu Berlin, Antikensammlung, Inv. no. SK 711. Photographer Johannes Laurentius. 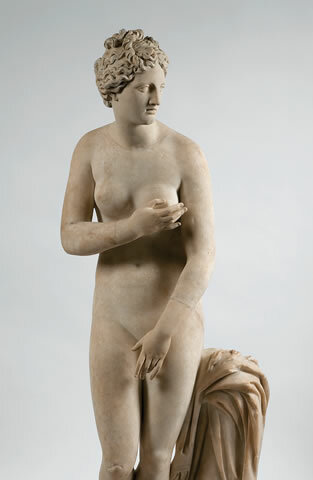 Statue of Aphrodite, c. 150 AD. Marble. © Staatlichen Museen zu Berlin, Antikensammlung, Inv. no. SK 30. Photographer Johannes Laurentius. 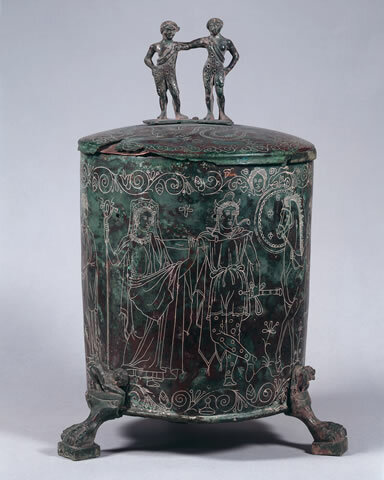 Praenestine cista, 350–300 BC. Bronze. © Staatlichen Museen zu Berlin, Antikensammlung, Inv. no. Misc. 6237. Photographer Johannes Laurentius. 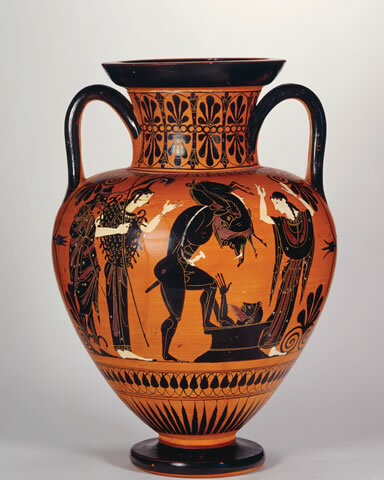 Attic black-figure neck-amphora with Herakles, Athena, and Dionysos, c. 510 BC. Terracotta. © Staatlichen Museen zu Berlin, Antikensammlung, Inv. no. F 1845. Photographer Johannes Laurentius. Torso of Artemis, c. 150 AD. Marble. © Staatlichen Museen zu Berlin, Antikensammlung, Inv. no. SK 61. Photographer Johannes Laurentius. 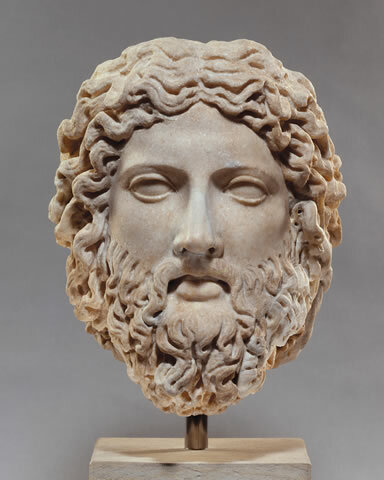 Head of “Dresden Zeus,” 2nd century AD. Marble. © Staatlichen Museen zu Berlin, Antikensammlung, Inv. no. SK 68. Photographer Johannes Laurentius. Statue of Asklepios, c. 150 AD (body), 150–200 AD (head). Marble. © Staatlichen Museen zu Berlin, Antikensammlung, Inv. no. SK 71. Photographer Johannes Laurentius. Olympus: The Greco-Roman Collections of Berlin features marble statues and reliefs, bronze statuettes, terracotta vases, and jewellery dating from the seventh century BC to the second century AD, on loan from the prestigious Antikensammlung der Staatlichen Museen zu Berlin (Collection of Classical Antiquities of the National Museums in Berlin). Bringing to life two ancient civilizations, Olympus links directly to the heartbeat of modern culture, from architecture, language, and law to medicine, sport, and theatre. Come face to face with stunning representations of the Olympian gods: Zeus, Venus, Athena, and more. The extraordinary works included in Olympus are drawn from three museums in Berlin: the Altes Museum (Old Museum), the Neues Museum (New Museum), and the Pergamonmuseum (Pergamon Museum). Originating in the 17th century with the Electors of Brandenburg, Berlin's collection was built over three centuries and largely completed by 1900 after key archaeological excavations in Italy, Greece, and Asia Minor at such sites as Olympia in 1845, Vulci in 1852, and Pergamon in 1878. 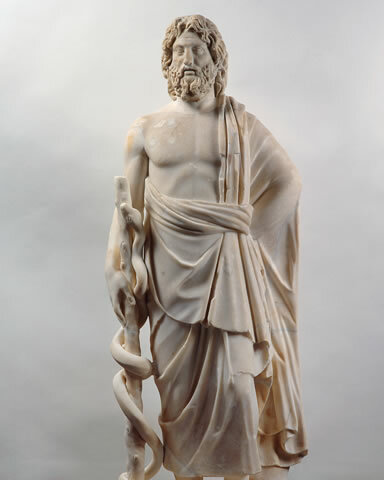 Learn about the fascinating worlds of ancient Greek and Roman art, mythology, and religion. Discover the 12 Olympian gods—the Dodekatheon—and their personalities, attributes, and characteristics. From the time of Homer and Hesiod, classical myths and legends remain a source of inspiration and discovery to this day. More than just magnificent works of art, Olympus reminds us that a society fuelled with the spirit of creativity can have an enlightening influence centuries later. of individual works of art in Olympus, visit wag.ca.